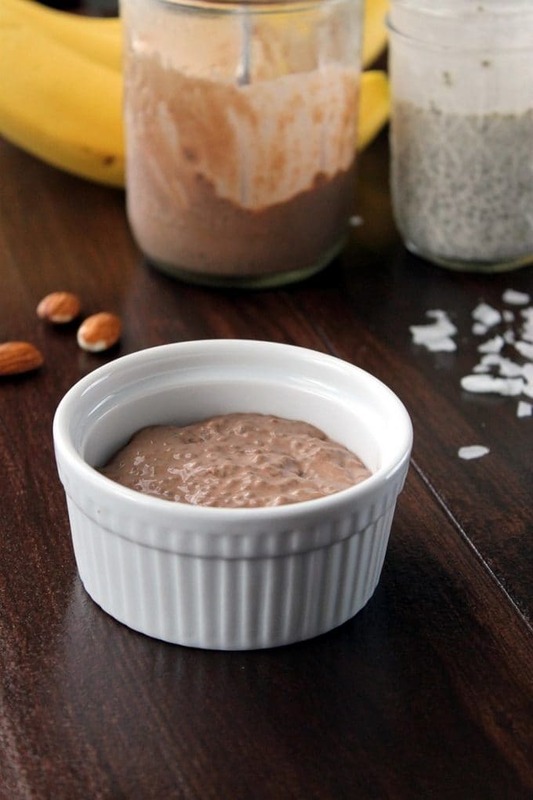 Home » Chocolate Chia Seed Pudding for a Breakfast Dessert! This healthy, chocolate chia seed pudding is a chocolate or vanilla version and a perfect breakfast for those on the run. It is also Paleo-friendly! Everyone is jumping on the healthy eating bandwagon these days. Or shall I say the gluten-free, grain-free, dairy-free, Paleo, Whole30 chocolate chia seed speed train? I know I am! After completing my Paleo Challenge, I was loving the ride so much I decorated my own train car and sported it all over town! And by train I mean I can’t stop talking about it. My husband is also on the train and he’s packing 40 pounds less luggage! 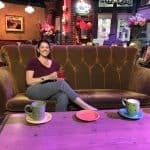 I took a break while on vacation in Arizona because I wanted to eat as many different things as I wanted to and not feel guilty about it. I can certainly tell a difference between eating snacks and grains again. I thought it would be fun to eat those things again, not that my life wasn’t as fun without them, but the truth is my body feels awful. Sluggish, tired, and unable to get moving. There are numerous chia seed pudding recipes out there but I think the addition of the coconut sugar adds a depth of flavor than just the honey or agave alone. 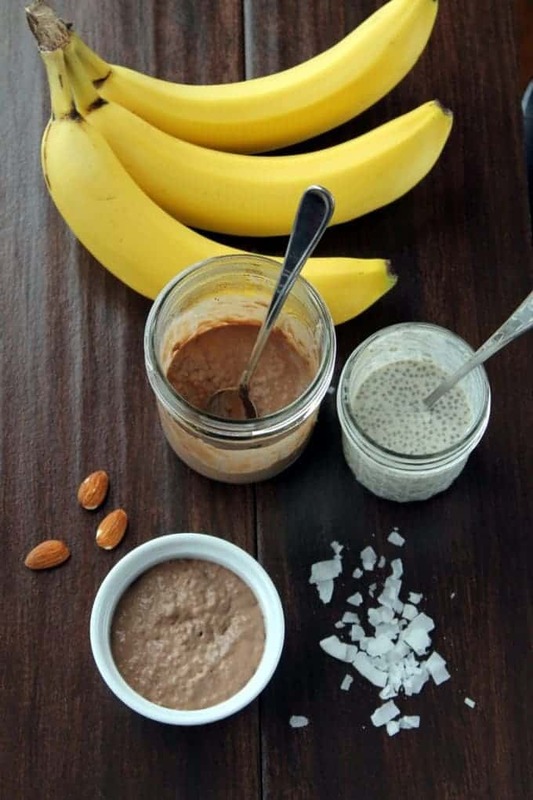 This healthy, chocolate chia seed pudding is a chocolate or vanilla version and is a perfect breakfast for those on the run. Can be made Paleo-friendly! Combine all the ingredients and divide into 4 cups. Garnish with nuts and fresh fruits when ready to eat. *For vanilla pudding, just omit the cacao powder and add 1/2 cups total chia seeds. I get about 4- 1/2 cup servings out of this recipe which is generous serving considering the fat and protein in the milk and the fiber in the chia seeds. Let chill for at least 4 hours. I make these the night before and they are ready for breakfast and afternoon, post-workout snacks. You can also add some toasted nuts to the top for crunch. 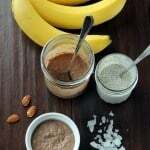 This is a great Paleo recipe and you can omit the honey/coconut sugar to make it Whole30 compliant. Feel free to add all different kinds of fruit or whatever is in season. My friend Chrissy puts a banana in hers and the girls will probably add Nutella! Note* I tried using “bobo” brand coconut milk and it didn’t set up like I wanted it to and I had to compensate with more chia seeds. “Bobo” brand is my friend Heidi’s name for generic store brands but that’s a story for another post. Even though “bobo” brands are cheaper, having to increase the number of my expensive chia seeds does not seem worth it. A Taste of Thai brand is also good. I also use chia seeds to make my Cranberry Orange Chia Marmalade! Love the health benefit of Chia seeds. This chocolate pudding recipe is new and inventive. Definitely will try it. I am always looking for ways to eat Chia seeds!v I know they are so good for you but I just don’t like them. I never considered disguising them in a dessert, great idea! Sometimes people don’t like the texture but I think it’s awesome! Wow, congrats to you and your husband for finding a way of eating that is working so well for you! 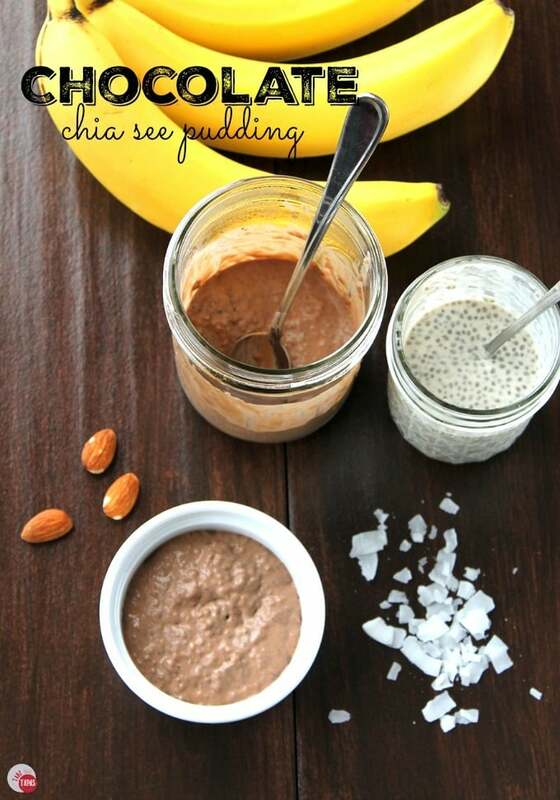 This chia pudding definitely looks like a rewarding way to start off a cleanse! Thanks Alisa! It definitely helps me when I am craving something sweet! Thanks Cristina! I love that it tastes good but still has some healthy benefits! Let me know how you like it when you get a chance to make it. Thanks! It definitely calms my craving for chocolate pudding and I don’t feel guilty eating it!